for those of you into our Rust Bucket game....Good News! The first big update for the game is out now! 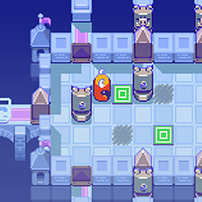 It contains new levels set in a new theme with new monsters and traps to tackle. Endless mode has also had some love. New monsters, a new theme after graveyard and you can now spend coins to continue a little further. We hope you all enjoy it! Currently were working on update 2!